Achyuta Kumar, who has been praised for his role as Shankaranna in the crowd-funded Kannada film Lucia, is happy that the film is doing well across India and his performance has been appreciated. He was trained as an actor at Neenasam, Heggodu and did theatre before entering the film industry as a full-fledged actor. 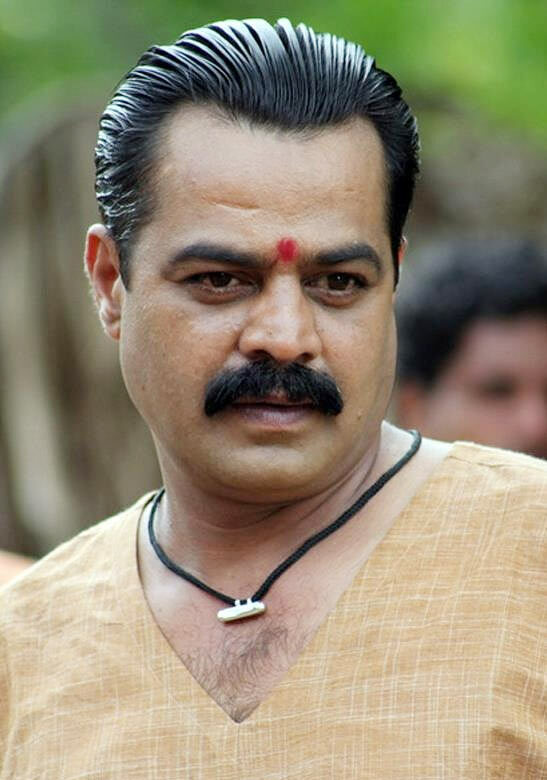 He started his acting career on television for Girish Kasaravalli. Kumar is a sought after character artist in Kannada and has also done a couple of films in Tamil, including K V Anand's Ko. In this interview, he talks about the experience of acting in Lucia. Your dual performance as Shankranna, the theatre owner, and as the film-star's manager in Lucia, has been getting a lot of attention. Critics and film buffs have been drawing parallels between Nikki's relationship with Shankranna and the relationship of film director Salvatore Di Vita and the blind Alfredo in the cult Italian film Cinema Paradiso. I am very happy that it has been received very well. Both roles are very interesting. I play a guardian to the leading protagonist in both tracks of the narrative. I think everyone would want a mentor or a guardian like the character I played, in their lives. I haven't seen Cinema Paradiso. I am sure it is a great film. People have been telling me that the scenes between Sathish Neenasam and me are a treat to watch. 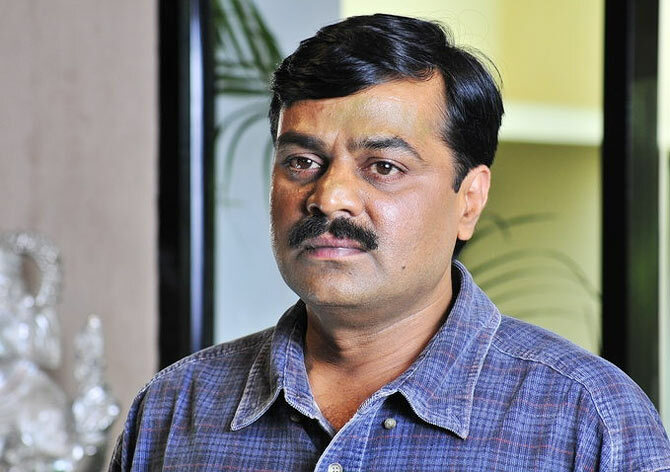 How did Pawan Kumar approach you for this film? (Laughs) Pawan did not approach me at all. Some article in the media announced that I am playing an important role in Pawan Kumar's film. So, I did not learn from Pawan that I was doing his film, but from the media. Much later, when I spoke to Pawan, he told me that he would be attempting something new in his next film that would be crowd funded. He gave me a bound script and told me that we will work together. There was no way I could have refused him. I was quite happy to be a part of his team. Lucia was a process. What was your experience of the filming of Lucia? It was very interesting. We did not have 100-200 people on the sets; just a handful along with technicians. Pawan and Siddhatha shot from several angles, then shot the details separately, to have more options while editing. Pawan explained the scene and the emotions clearly before we went on board. He believes in his actors and gives them a lot of space to perform naturally. It was a pleasure. Lucia seems to have garnered much more attention on social media platforms. Mainstream media and the industry don’t seem to be responding as well. I cannot comment much about the mainstream media, but the advantage with social media is that an artist can directly interact with his audience on a one to one basis. That's a welcome change. Right from the time Lucia went on the floor, people have been aware of what was happening with the crowd-funding and the filmmaking process. It was a transparent process. I must say we are getting support from the mainstream film industry also and people have been watching it and congratulating us for raising the bar for Kannada cinema. Lucia has made everyone take notice of a Kannada film. Indeed. Lucia is sensible cinema. I am sure this successful attempt has encouraged more filmmakers to make new wave cinema. Other regional film industries will acknowledge that too. Kannada films might have been released in different states at different times in the past, but never before has a Kannada film had a release of this magnitude, across the nation and getting phenomenal response from critics and audiences alike.